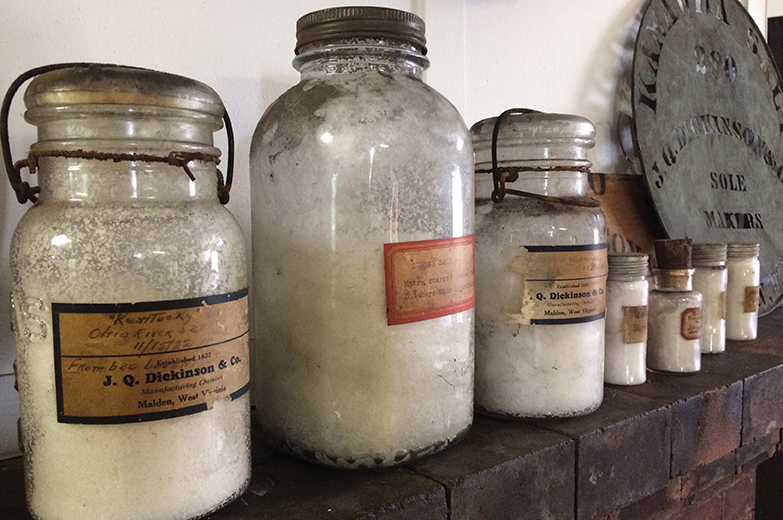 A seventh-generation salt business makes its mark in Baltimore. 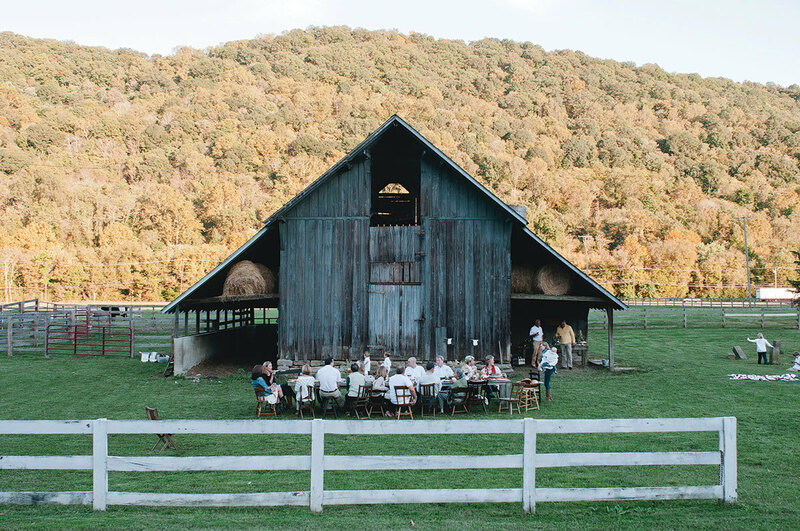 Nestled between the majestic mountains of West Virginia’s Kanawha Valley and Kanawha River and just down the street from Booker T. Washington’s boyhood home, an unassuming white PVC pipe protrudes from the ground. Amidst the tall blades of grass in this verdant valley, it’s nearly invisible. The only suggestion that it might be something of note is a derrick, once used in drilling deep substratum brine, and now standing decoratively over the pipe. 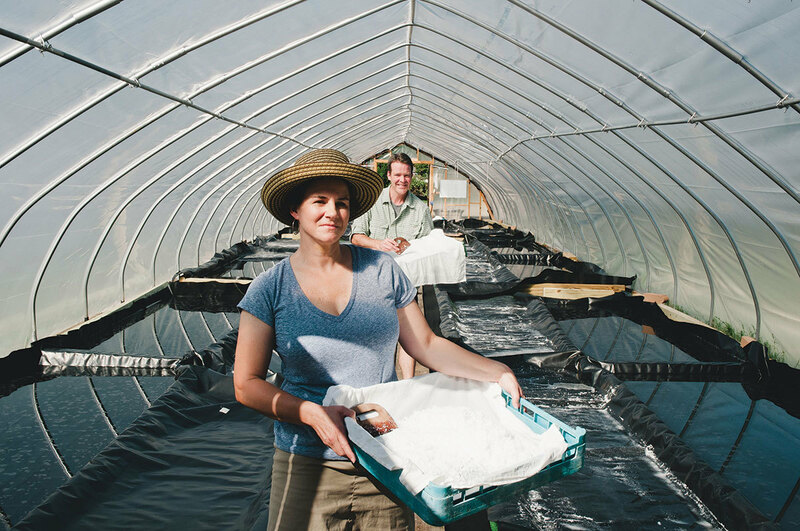 On a hot, humid, overcast day—far from the ideal environment for the solar evaporation salt-making process—Bruns and Payne are hard at work on their family’s 200-year-old farm, about 10 miles from where they grew up in Charleston. Bruns is a classically trained chef who formerly owned a restaurant in Highlands, North Carolina; Payne and his wife, Paige, who also works for the business, spend summers working the land in Malden, though the Paynes live part-time in Baltimore so that their son, Davis, can attend The Odyssey School in Stevenson, while their daughter, Cameron, boards at St. Timothy’s School—Bruns’ alma mater, which is also in Stevenson. 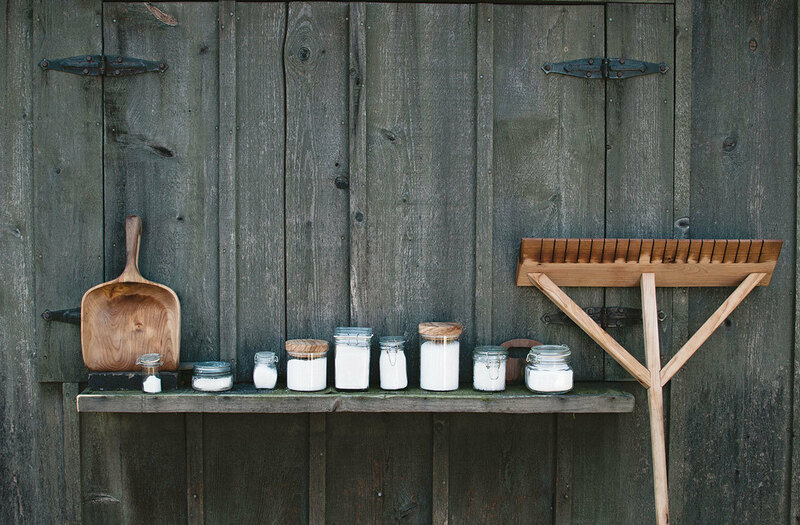 At work on the salt beds; storing the salt; Dickinson descendants reunite on the family farm in the Kanawha Valley; salt relics from the property. While the salt is sold at some of the most celebrated kitchens in the country—Husk in Charleston, South Carolina, and The French Laundry in the Napa Valley—Baltimore is a major market for J.Q. Dickinson salt. Its finishing salts sit on the shelves at Trohv in Hampden, E.N. Olivier on Falls Road, Juniper Culinary Apothecary in the Mount Vernon Marketplace, and The Chesapeake Wine Company in Canton. The salt is also sold at MOM’s Organic Market in Hampden, as well as The Pigheaded Butcher in Timonium, and John Brown General & Butchery in Cockeysville. It’s the salt you taste when you buy a bar from Eldersburg-based Salazon Chocolate Co.
Malden was once known as “the salt-making capital of the East” with more than 50 salt makers. Move over Morton—sea salt is hotter than ever. (In recent years, even Wendy’s changed its fry recipe for the first time in decades, adding sea salt to the spuds.) As consumers and retailers have discovered the ways in which sea salt can elevate flavor—contributing coarseness, crunchiness, and boldness—the market has soared. The gourmet salt market is expected to reach $1,340.9 million globally by 2019, according to Markets and Markets global market research and consulting company. Salt, or sodium chloride (NaCl on the chemical compound chart), is a naturally occurring material and an essential element in our diets. According to the CDC, each day the average American consumes about 3,400 milligrams of salt, which might be mined from the earth or harvested from the sea. “It’s the only condiment produced on every continent and the only thing humans crave, because we need it to survive,” says Nuttle. J.Q. Dickinson’s story starts in the early part of the 19th century when William Dickinson, along with his brother-in-law, Joel Shrewsbury, traveled from Bedford County, Virginia, to the rugged Kanawha Valley to find brine. Using hollowed-out sycamore trees as piping, Dickinson and his crew made their first salt well. Though Bruns and Payne use solar evaporation methods now, Dickinson and the generations that followed boiled the brine, which led the family to run and own other industries in coal, gas, and timber, holdings they still have today. By 1817, at a time before refrigeration, business was booming as barrels of salt were loaded on barges bound for Cincinnati, then the seat of the meat-packing industry, where the salt was used for curing and preservation, then, years later, for road construction and paving. “We grew up in Charleston, but we didn’t know anything about the salt-making that went on here,” says Payne, the great, great, great, great grandson of William Dickinson. 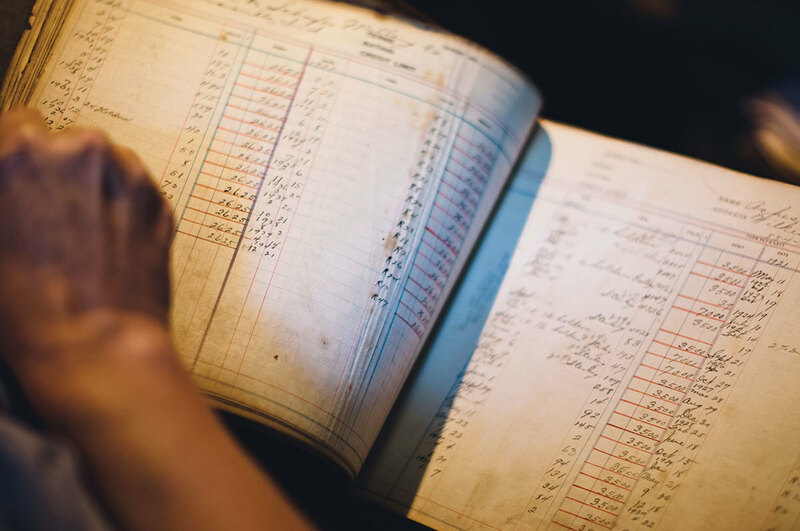 Ironically, Bruns’ discovery came when Carter stumbled upon a wealth of information about the Kanawha Valley while writing his master’s thesis. “We would make fun of him on trips, because he always had these historical books,” Nancy recalls. “And one time, he brought Mark Kurlansky’s book Salt on a trip. He said, ‘You all make fun of me for reading these books, but your family is in this one.’ I was like, ‘Really?’ We grew up here, but we didn’t know the history.” Recalls Carter, “After learning the family’s history, she said, ‘Honey, do you think there’s still brine?’ And I told her that I had no doubt,” recalls Carter. Bruns couldn’t shake the idea that she and her brother should bring the business back to life. J.Q. Dickinson sold about 11,000 pounds of salt last year and expects that sales will stay strong in the coming year. In addition to tapping into interest in local sourcing, J.Q. Dickinson’s all-natural process taps into the sustainable sourcing trend, too. While most salt is mined with machines and then highly refined to remove impurities, J.Q. Dickinson relies solely on Mother Nature. 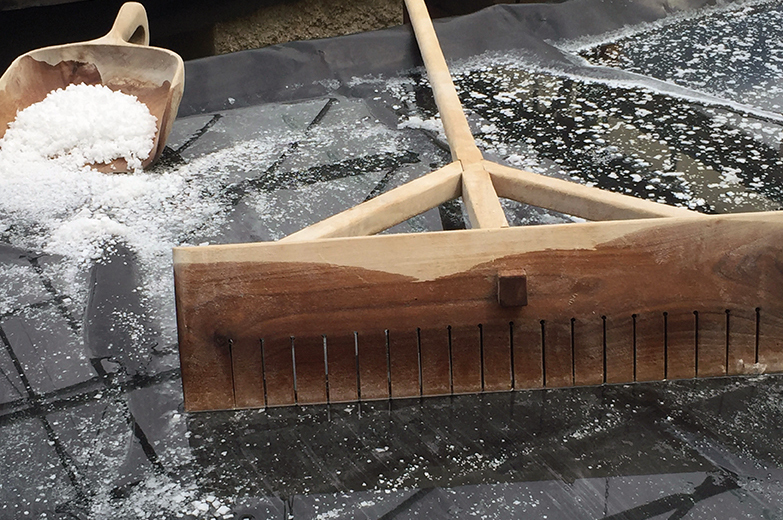 “Only a few salt makers in the country were doing this through evaporation with salt water and noncooking methods. 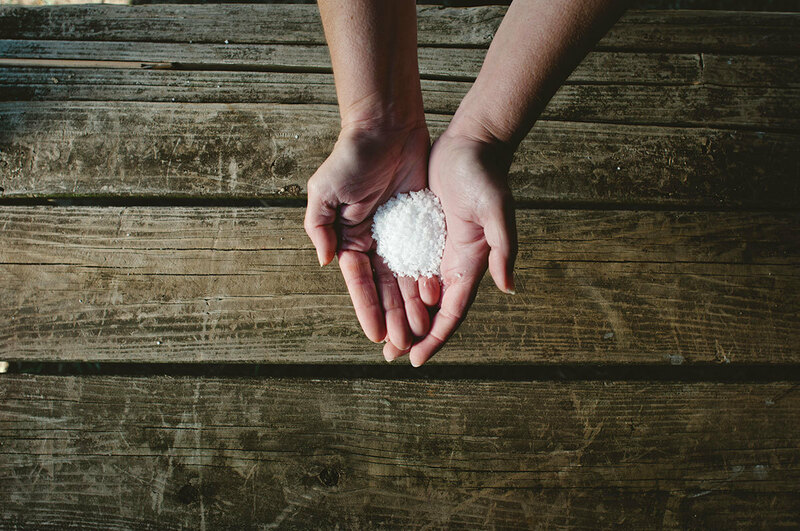 When we started a few years ago, Maine Sea Salt was the only one,” explains Payne. The process unfolds over four to six weeks in one of two tanks that “clarify” and allow the iron in the salt to oxidize, then settle. It’s then moved into evaporation beds in one of four sun-houses. From there, the salt is evaporated to concentrate the salinity, before being pumped into the final crystallization beds, where the crystals are raked to separate them from the nigari (a mineral-rich liquid and naturally occurring byproduct of the salt, that can be used to make tofu). New beds are poured March through October. Most salts are at least 98 to 99 percent sodium chloride, but it’s what goes into that last 2 percent that distinguishes types of salt. 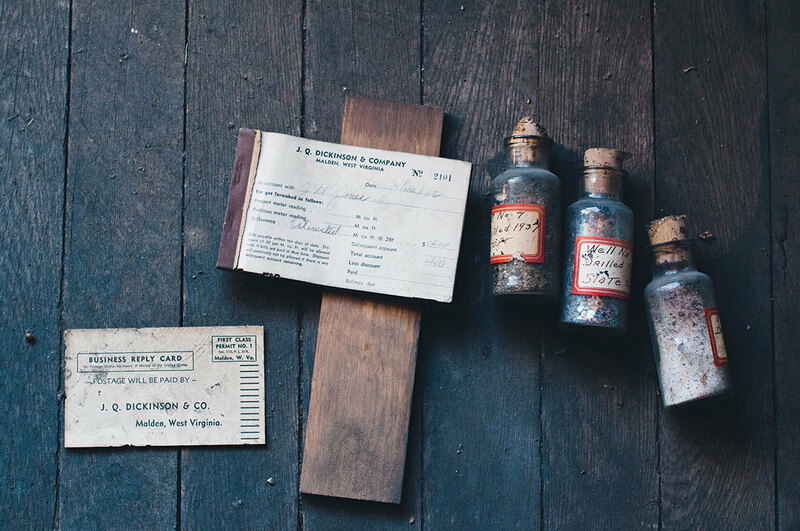 Here’s a rundown on how to distinguish your salts. Kosher Salt: Craggy crystals that come from either the sea or the earth. It’s fast-dissolving and can be used for all cooking. Fleur De Sel: This sea salt is a special-occasion salt that comes from evaporating ocean water. The fleur de sel is the delicate crystals that form on the surface. Great on crudo or raw veggies. Flaked Sea Salt: This is one of the fastest-dissolving salt of all grains, the most famous of which comes from Maldon, England. A great finishing salt to use on all foods. Crystalline Sea Salt: Adds a powerful punch of flavor to anything from a salad to a steak. Depending on what minerals they contain, the crystals come fine or coarse and vary in color.